Nothing can be more special than a precious gift arriving at your doorstep at midnight. 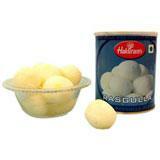 Surprise your loved ones in all cities in India with this midnight treat. This hamper consists of a basket of 12 Red Roses, 1/2 Kg. 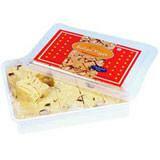 Mixed Dry Fruits and a 1/2 Kg. eggless Chocolate Cake. 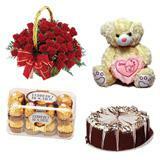 You can also send Gifts across India through this site to your loved ones through GiftsAcrossIndia.com. 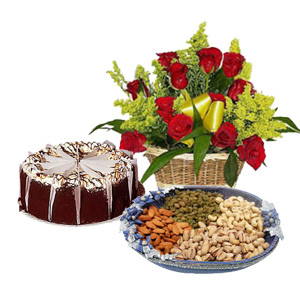 The picture of the dryfruit's arrangement is indicative. The tray will vary.